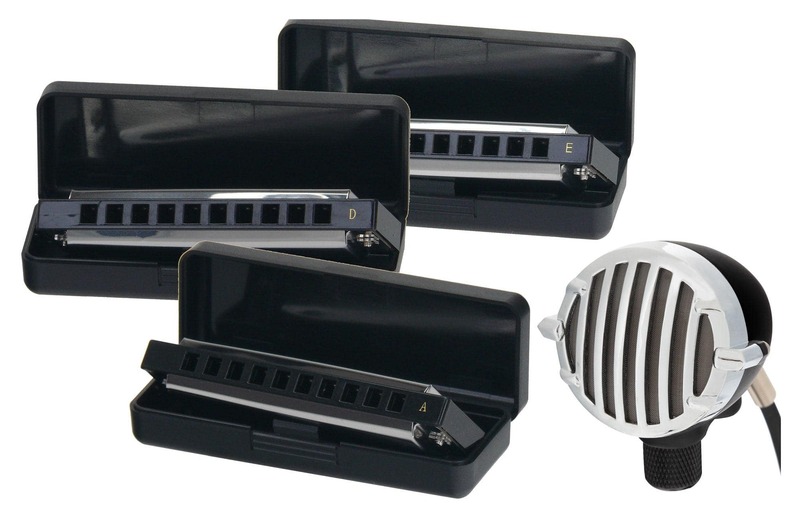 Blues Harp saving kit "BLUES" object of desire for a steal! 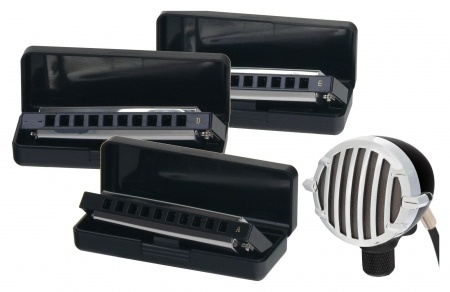 Blues Harps are the best selling harmonicas. These Classic Cantabile are tuned in A major, D major and G major, and therefore ideal for a solid Blues. Whether the band groves into Jazz, Rock'n'Roll or Soul the saving kit “BLUES” offers the perfect foundation! Stainless steel cover, plastic kantele body and special vibration plates in the reliable "sandwich-built”, result in the typical warm and powerful sound. In order for these babies to be stored safely, they come with a black plastic box. The iconic Pronomic HM-2 vintage harmonica & vocal-microphone with its handy size and contoured shape fits perfectly between harmonica and hands. Through an extremely smooth and clean sound, the HM-2 can also be used as a vocal microphone. 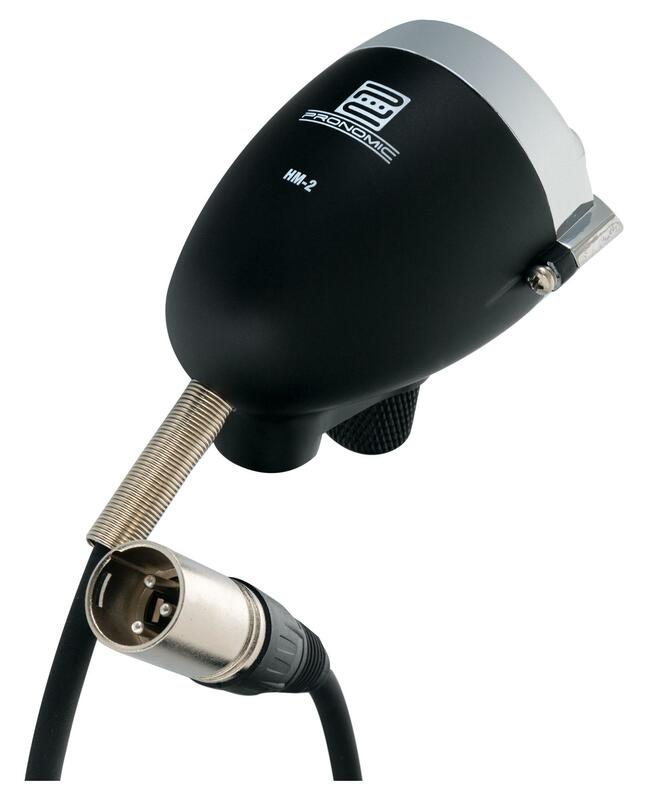 A 3 meter connection cable gives you particular freedom of movement on stage with this microphone! 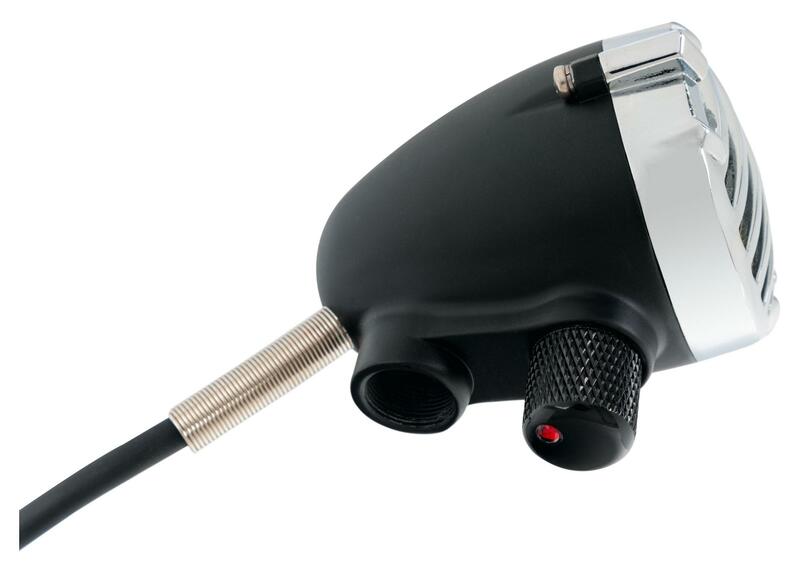 The microphone can be connected as a top-performer, either alone or with its own amplifier. The spacey chrome head and the black body underline the retro look in the legendary "bicycle lamp" - design! 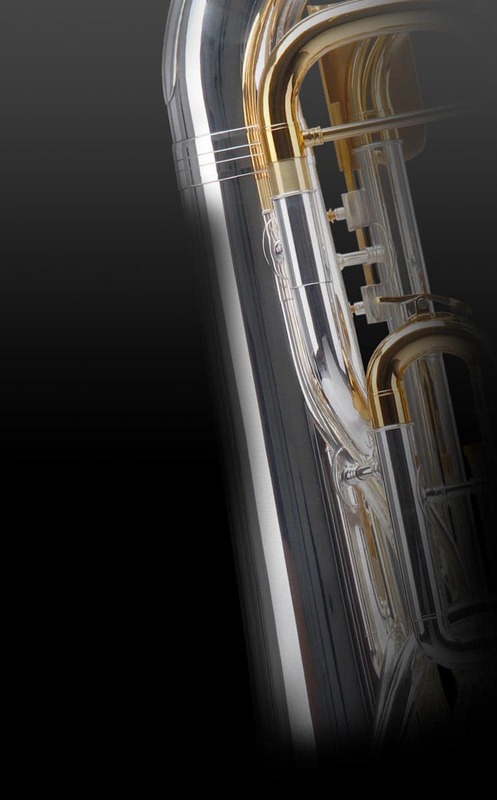 Elegant design and cutting edge technology are combined perfectly with the Pronomic HM-2. Therefore, at the bottom next to a handy volume control the microphone has a 1/4" - thread to be securely mounted to microphone stands. Vintage refers to a fashion or design style, in clothing and musical instruments with a retro look of the 1930s to the 1970s. Thus, with this microphone careful attention was spent on specific details of value such as "used" styled fashion (Distressed, artificially aged areas & colors) and antiqued design/style. The savings set thereby is perfectly matched for the motto "plug and play unpacking! ".